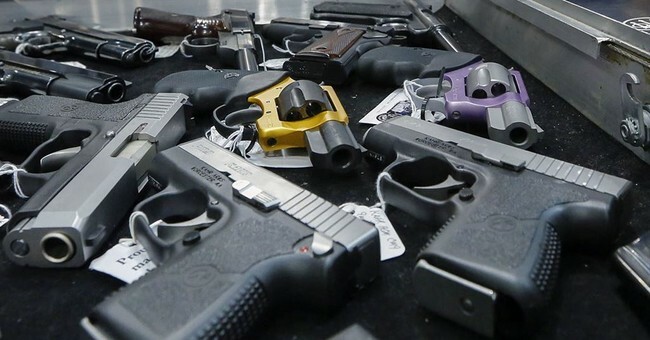 Late last week, California Rep. Eric Swalwell decided to double-down on previous anti-gun comments. In the process, he sparked a debate that led to one of the worst possible comments an elected official could make. That’s right. 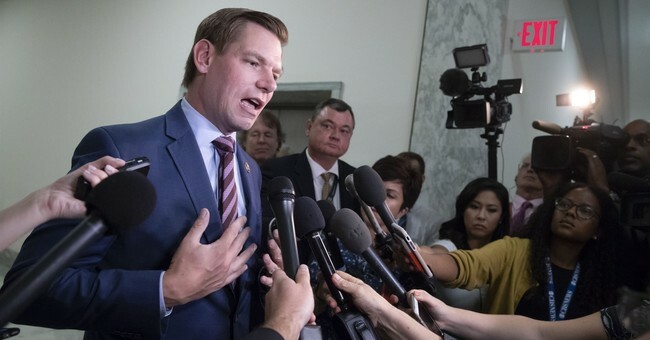 Rep. Swalwell implied that the United States government would use nukes to deal with Second Amendment activists who resist gun confiscation. With that in mind, I wanted to pen a bit of an open letter to Rep. Swalwell. On Friday, I fired up Twitter to see what was going on and I saw something baffling. That was the above tweet, where you respond to someone warning of a civil war in the event that your assault weapon confiscation scheme ever came to fruition. You actually brought up nuclear weapons. Wow. Look at the lies. First, you propose a “buy-back,” but notice how you said you wanted the police to go after anyone who didn’t want to sell their AR-15s for a fraction of their purchase price? You’re not proposing a method to reduce the number of AR-15s on the streets. You were talking about confiscating the single most effective rifle for self-defense and going after anyone who didn’t want to go along with the program. You were then warned that if you do that, it’ll spark a civil war. To be clear, this point was made long before. This Twitter user can’t be the first one to have ever mentioned the possibility to you. American gun owners will not become subjects. We don’t trust the government, regardless of who is in power, to just accept it as the only one with these weapons. It’s also interesting that you “sarcastically point out the USA isn’t losing to his assault weapons” and claim that that comment is leading to you being called a tyrant. You’re being called a tyrant because you are seeking to ignore the Second Amendment, deprive people of their property without due process, and seek to create the perfect environment for tyranny to take hold in this great nation. You’re called a tyrant because you then respond to warnings of what that might lead to with comments about nuclear weapons. However, I’m going to clue you in on a little something, Mr. Swalwell. In the 1960’s, my father went on an all-expenses-paid trip to the far east. His destination was a tiny country few people had even heard of a decade before. It was called “Vietnam.” There, the mighty American military came face to face with an enemy that was little more than guys with assault rifles and how did that work out? Then fast forward to 2001. A group of terrorists hijacked some planes and flew them into buildings. We knew who was responsible and roughly where he was. We told the Taliban to give him over, and they refused. We rolled right over them. Now, little more than guys with assault rifles, they’ve been a major headache for the military since then. The same thing played out in Iraq. Saddam’s army fell in no time, but we were stymied by the guerrilla warfare that followed. Should, God forbid, a civil war come to our American shores, it won’t be pretty. However, I can also tell you that the combined might of the United States will have a damn hard time neutralizing that rebellion. And that’s if the military is even interested in fighting. Don’t be surprised, Mr. Swalwell, to find out that most of the guys on the sharp end actually disagree with you over this crap. And they’re the ones who will have to kick in doors and be the ones who get shot. The same is true of law enforcement. Don’t mistake police chiefs pontificating on gun control to mean that the regular beat cop is your ally in this. 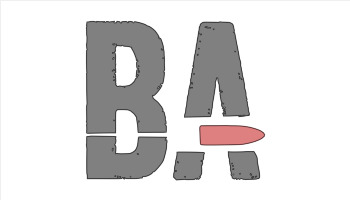 They often know damn good and well they can’t be everywhere, but an armed citizen can at least protect themselves. In other words, the people who you want to stand against these Americans aren’t likely to side with you on any particular level. But then again, maybe you did know that. Maybe that is why you brought up nukes in the first place. Look, Rep. Swalwell, I get you’re from California and people there seem to love them some gun control. California isn’t the rest of the United States, and I’m thankful for that. However, you should also realize that many of us have seen what is transpiring in other countries and are bound and determined not to allow that to happen here. We’ve watched the UK ban guns, then start going after free speech at a time when crime is becoming more and more of an epidemic, for example. We watch Europe do the same thing as “refugees” act however they want and the governments of Europe seem unwilling to do anything about it, but the idea of average Europeans having the means to defend themselves is unconscionable. We’ve seen that and we’re not interested in it ourselves. If that means you want to nuke us, then so be it. However, look at the writings of our Founding Fathers when it comes to guns. They explicitly wanted us to be able to overthrow the government if it fails to act in our interests. By making your crack about nukes, you didn’t take down the pro-gun argument. You may have created a “pro-civilian ownership of nukes” argument, though, so good job for that. So no. We’re not giving up our weapons. And yes, if you insist on coming after us, it will spark a civil war. You need to come to terms with this reality if you’re going to keep pushing this ban of yours. Man up and admit that you want us dead and I might at least be able to respect your guts. But stop pretending that you want anything else.